Some going, especially when you consider he was +3 for his final round after six holes. Finishing 10 shots off the tournament winner is not how Shane Lowry would have preferred it, but an incredible birdie blitz on his final 12 holes has earned the Offaly native another tidy wedge and will see him climb the world rankings again. 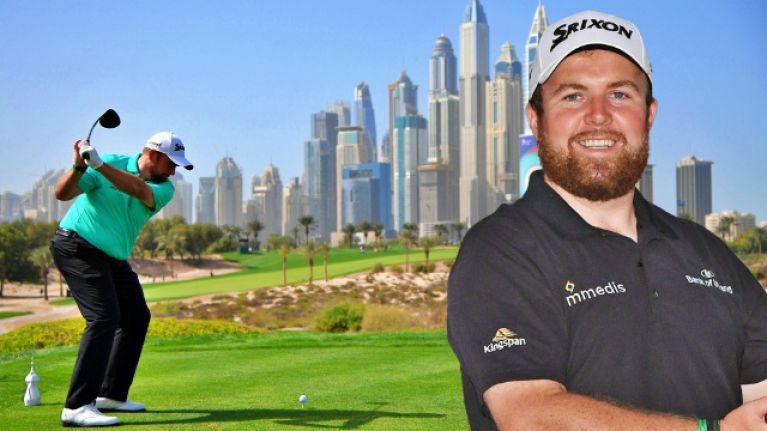 Lowry, who won €1m after claiming the Abu Dhabi Championship last weekend, had another decent outing - shooting rounds of 67, 69, 71 and 67 - to finish in a tie for 13th. Lowry began his day at -9 and seven shots off the lead. He would have been well aware of the blistering, flawless start needed to climb the leaderboard but, instead, he drifted back. For the second time in 24 hours, he bogeyed the first hole to get off to a bad start. Five pars followed before he had a disaster on the sixth and double-bogeyed. Challenge over, many players would have crumbled. Not Lowry. He immediately responded with two birdies before embarking on a wild run down the back nine. He parred the 10th hole before getting birdie on six of his last eight holes. He was -8 for his final 12 holes and, as a result, soared up the leaderboard. The winner was America's Bryson DeChambeau, who left everyone in his wake to finish on -24 for his four rounds. His 64 on the final day left him seven clear and he picks up a cheque for €475,000. Already ranked No.5 in the world, the ranking points will have No.4 Justin Thomas looking over his shoulder. As for Lowry, he finished in a tie for 13th with Ernie Els and Byeong Hun An and they will share a split of €132,000. It means the 31-year-old will get around €43,000 to add to his million euro plus haul from last Sunday. 41st in the rankings, last Monday, he should go into the late 30s this time tomorrow. All of this will strengthen his case to automatically qualify for the Majors this year. 2019 is going well for the man from Clara.